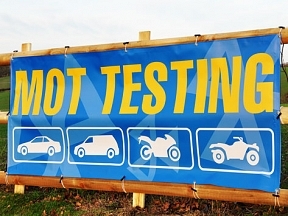 MOT Test Centre PVC Banners – Advertise your services for MOT testing with these top quality commercial grade 550gsm banners. 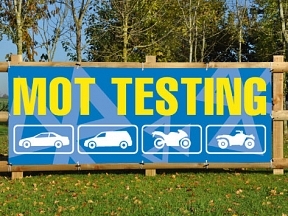 All our MOT banners come with free design, so if you need a banner custom designed specifically to you requirements it doesn’t cost a penny more! 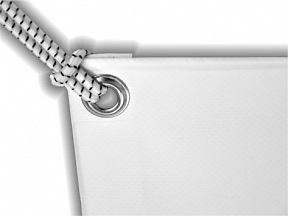 Include your MOT test station name, number and contact details, call our design team today and we’ll be happy to help.